Do you live near northern Massachusetts and want to do a day trip or a quick overnight to some haunted places? 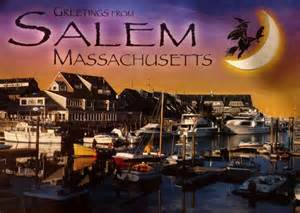 Here's a sample itinerary for Salem and Gloucester MA. Gloucester is America's oldest Seaport and is still a major center of the fishing industry. Hammond Castle is in Gloucester and overlooks the Atlantic Ocean. Open as a museum from May-October, one can take self-guided tours or schedule private events (weddings) on the grounds. Built in the 1920s by John Hammond Jr, an inventor, the castle is thought to be haunted by Mr. Hammond, a former groundskeeper, and several other unidentified spirits. No photography is allowed. After touring Hammond Castle, you can take a half hour drive west to Salem for lunch. Dine in the restaurant or tavern of the Hawthorne Hotel, where there are two notably haunted rooms (612 and 325), and sometimes strange happenings in the tavern - the large Ship's Wheel has been seen turning on its own. From there, less than a half mile away is the House of Seven Gables (the Turner-Ingersoll Mansion) which is open as a museum. The stairway to the attic area and the attic are described by many people as creepy and seeming to be haunted. Read some of these accounts on GraveAddiction website. I did not know that the House of Seven Gables was supposedly haunted until just a few years ago, but it made sense to me because of an experience I had there a long time ago. 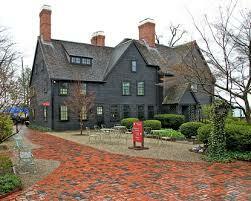 When I was in high school my family went on a trip to New England and visited this house museum. During the tour we were in a room and the guide was explaining that the staircase I was near went up (along the outside wall I think) to an upper floor or attic. We did not go up - they may not even have allowed people up there at that time, but I remember being very creeped out by that area and would not have wanted to go on those stairs. It was a strong enough feeling and so unusual that I remembered it. It is very strange to read reports citing that very area as the haunted region! Note: no photos are allowed inside the house. So take a drive, enjoy some history and sights, and maybe see even a little more than you bargained for!